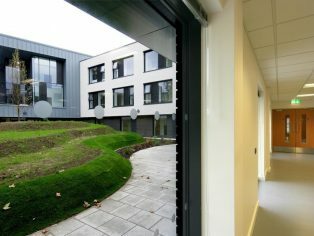 Construction of a new multi-million pound Learning and Skills Centre for Lambeth College, London’s first career college, has been completed by GRAHAM Construction. 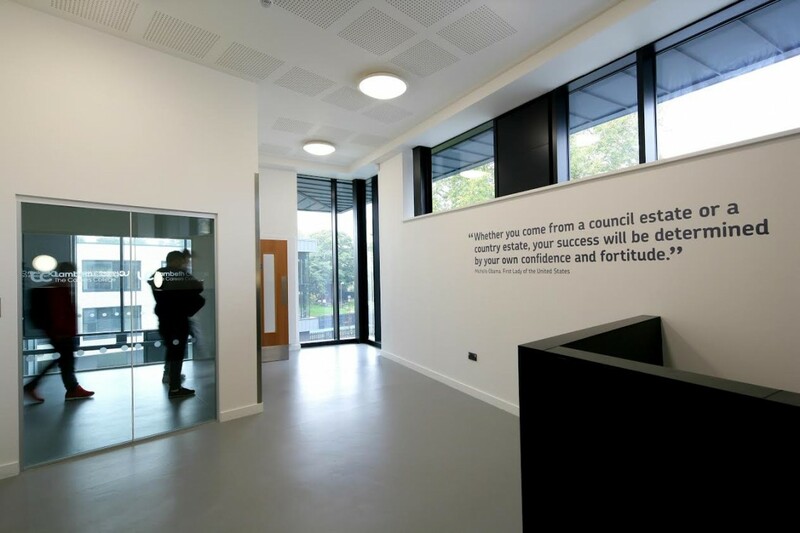 The centre has been named the ‘Henry Thornton Building’ and is the £8 million second phase of a £12 million redevelopment project at the college’s Clapham campus. It includes new classrooms, a sports hall and gym, as well as a nursery. The new facilities, which are located behind the existing college, covers 3,972 sq m in steel framed structure, with a concrete roof clad with a single-ply membrane, curtain walling and a black and white brick facade. 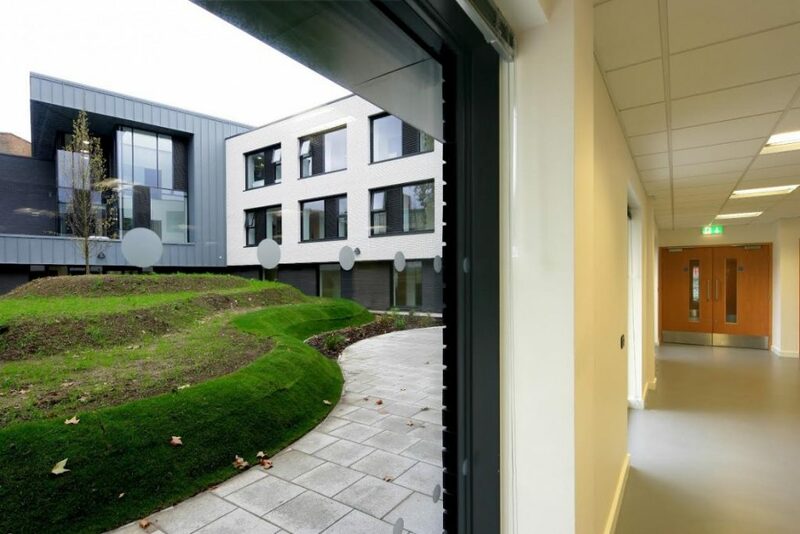 Replacing the college’s old buildings provides a more modern educational environment with facilities that will support curriculum areas such as sport, travel and tourism, health and early years, adult skills, and ESOL (English for Speakers of other Languages). Aimed at 14-19 year olds, its objective is to ensure that young people have relevant skills to equip them for the workplace. “We formed a good partnership with GRAHAM Construction. What impressed us was that the development came in within budget and ahead of schedule. The centre is now open to students.